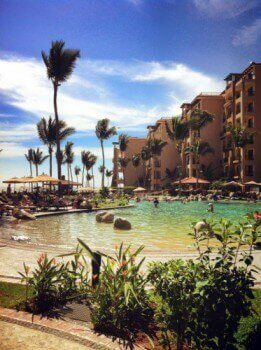 Should I buy a Riviera Nayarit timeshare at Villa del Palmar? Those in search of luxury and beauty are sure to find what they are looking for in the welcoming arms of the Villa del Palmar Flamingo resort in the Riviera Nayarit. Nuevo Vallarta, where the resort is located, has long been a place of rest, relaxation and invigoration for those who come seeking respite from the stress of day to day life. There is no better place to have a home away from home, in the form of a timeshare, and there is no better provider in the area than the Villa del Palmar. Nuevo Vallarta is well known for having one of the longest, most pristine stretches of yellow sandy beach in Riviera Nayarit, not to mention some of the safest waters and the loveliest scenery, too! The Villa del Palmar Flamingos resort is ideally placed, being just a short taxi ride from both Puerto Vallarta and its international airport. Those looking to get closer to nature will particularly love this location as it puts visitors in the right place to swim with whale sharks, and see baby turtle hatching – depending upon the time of year. Your Riviera Nayarit timeshare at Villa del Palmar opens the doors to enjoy such possibilities. The suites on offer to members owning Riviera Nayarit timeshare at Villa del Palmar are generously sized, and designed with livability in mind. Ranging from one bedroom deluxe suites to two or three bedroom villas, as well as luxury penthouse apartments, the units on offer at Villa del Palmar Flamingos never disappoint. All suites have kitchen facilities, so you can cook for yourself, if you so wish. The resort has not one, but three restaurants for you to choose from during your stay, but they are not your only option! You can enjoy poolside snacks during the day from the resorts snack bar, have a healthy meal at the Palmita deli, order room service, or even buy groceries at the mini market and cook for yourself! Riviera Nayarit timeshare at Villa del Palmar offers a range of options. A vacation doesn’t have to be about lazing by the pool all day! Those who like keeping in shape will be pleased to know that the Villa del Palmar Flamingos resort in Nuevo Vallarta has a world class fitness centre which is open to all guests. After a workout you can relax and be invigorated by treatments in the Tatewari Spa; a mud pack, facial, and massage can be the perfect way to detox after a hard workout. The focal point of the resort is undoubtedly the lagoon style, multi-level pool, but there are many other wonderful facilities including a conference room, restaurants, a gym, a spa, a deli, and even a mini market. Not to mention the many wonderful, free activities which take place every day on site; you need never be bored when you stay at the Flamingos resort. Riviera Nayarit timeshare at Villa del Palmar is certainly one of the best options for vacation ownership in Mexico.